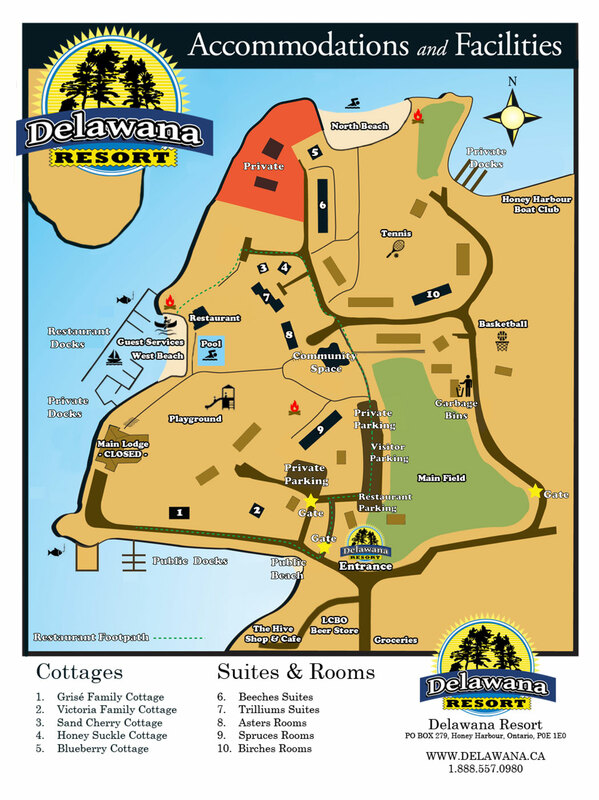 Enjoy a lakeside or parkside view from our rooms located at Delawana Resort. 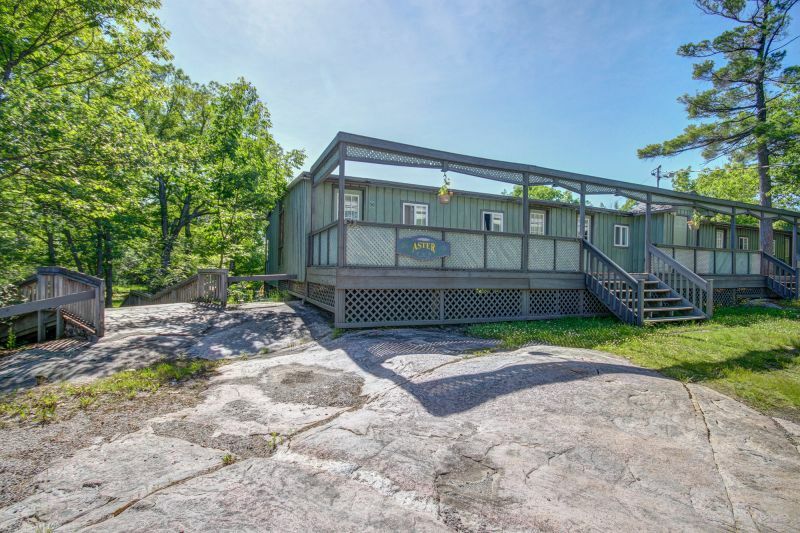 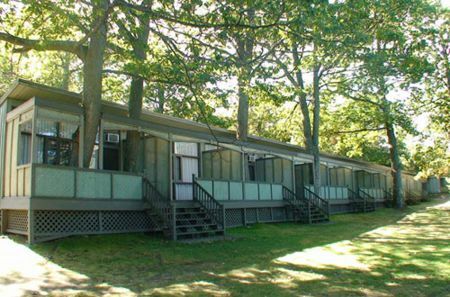 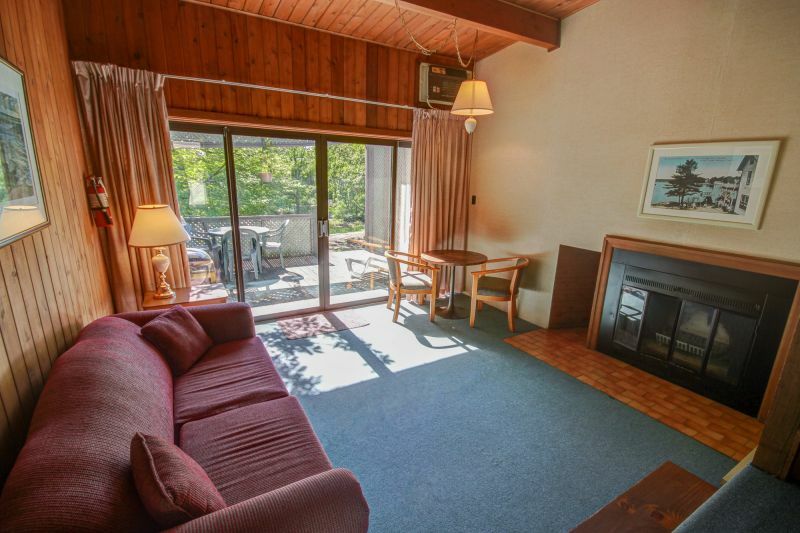 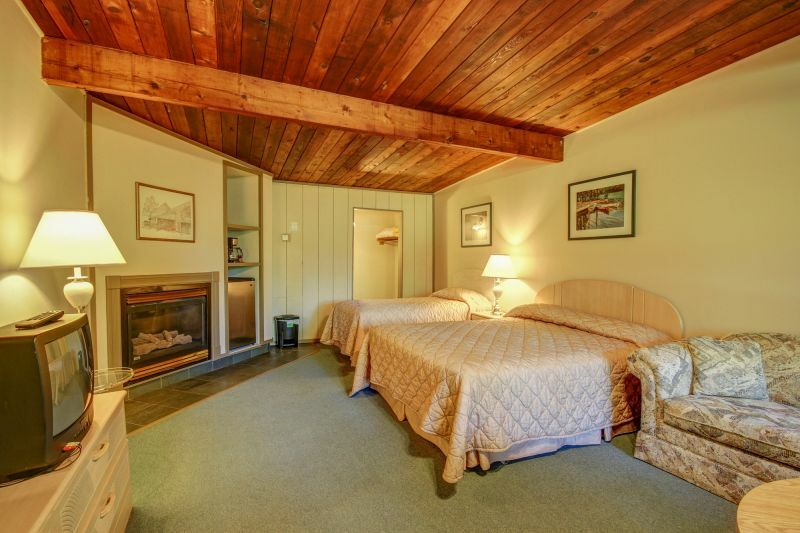 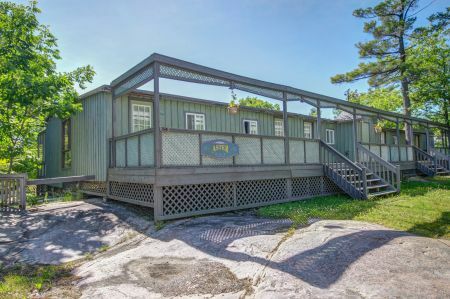 All of our rooms include access to Georgian Bay, with available private docking and beaches on premises. 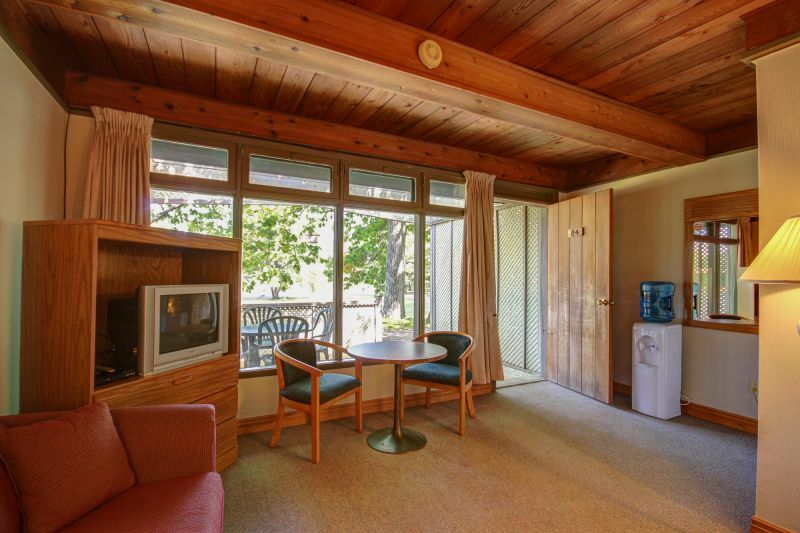 Our rooms are self-catered, and include a charcoal BBQ, air conditioning, mini refrigerator, and wifi. 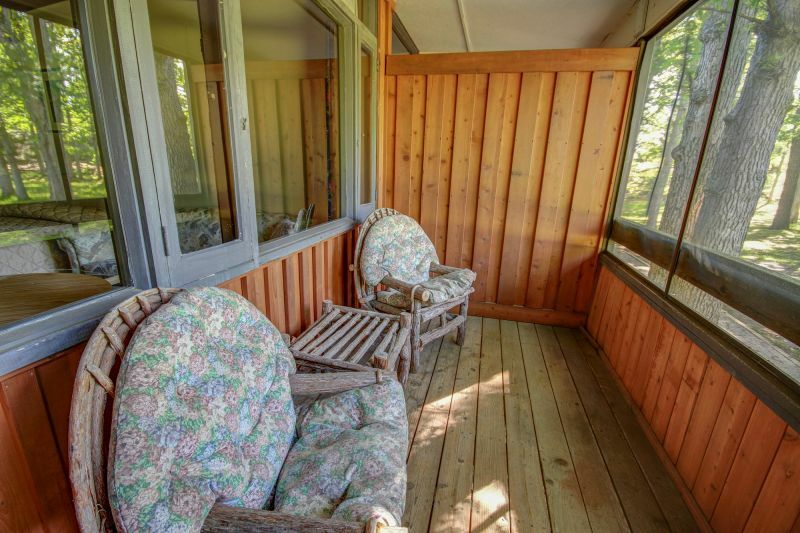 Additionally, our rooms offer an open air porch. 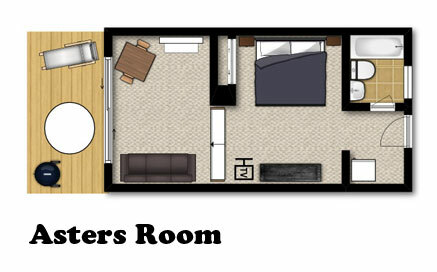 Rooms do not include a kitchen or kitchenette. 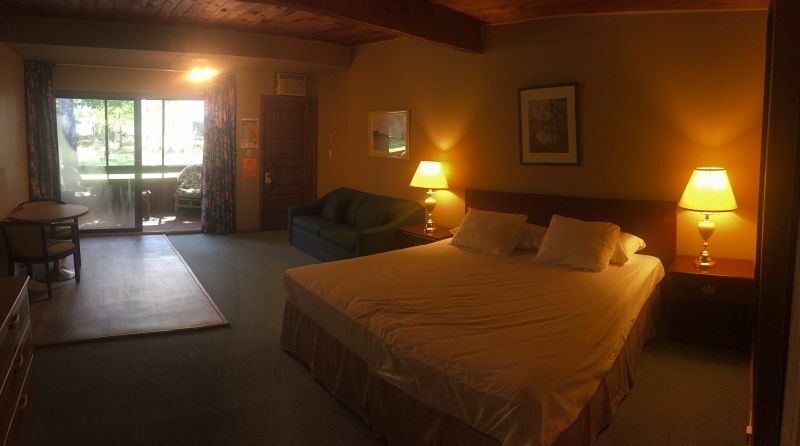 Parking is located at the rooms. 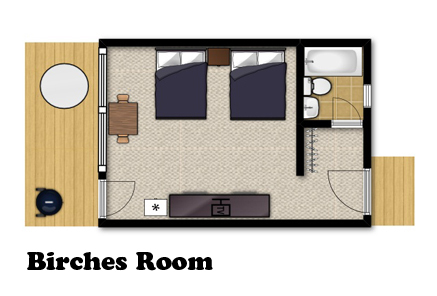 The Asters have an open concept layout, containing a bedroom, sunken living room and vaulted ceilings. 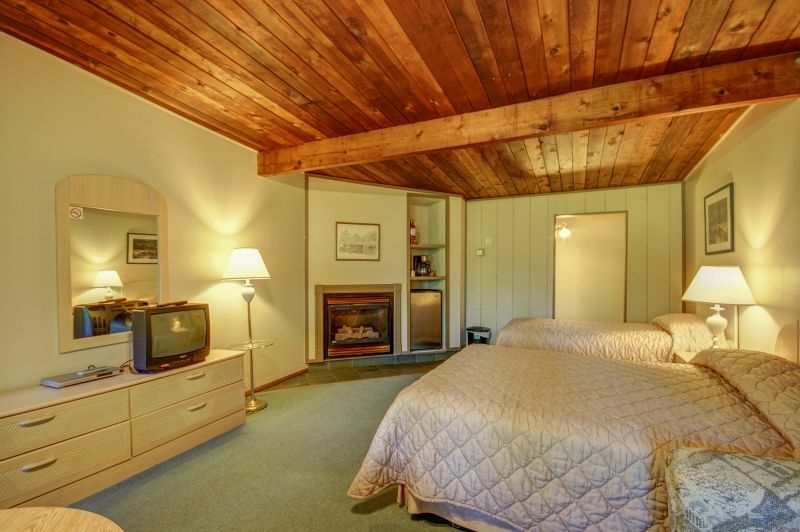 The bedroom has a king bed and steps down to a sunken living room. 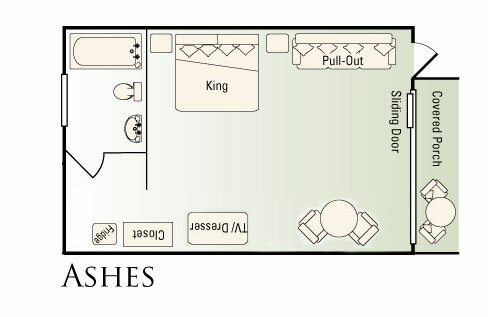 The living room has a pull out sofa that converts into a double bed. 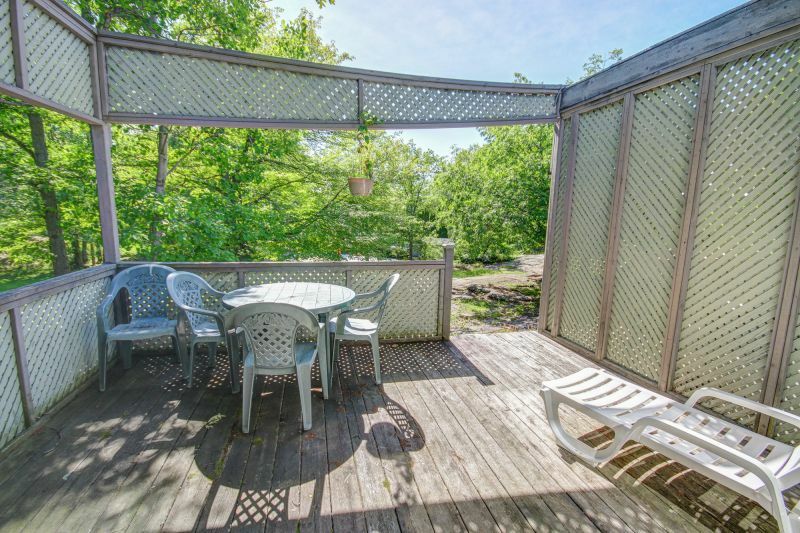 Glass sliding doors open to a deck with a view of the pool and green parkspace, and faces the direction of Georgian Bay. 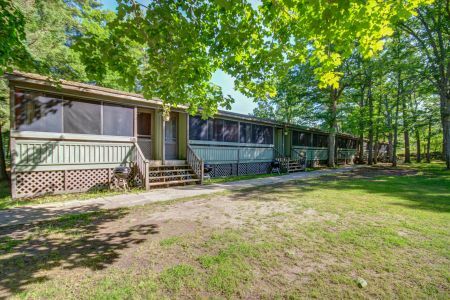 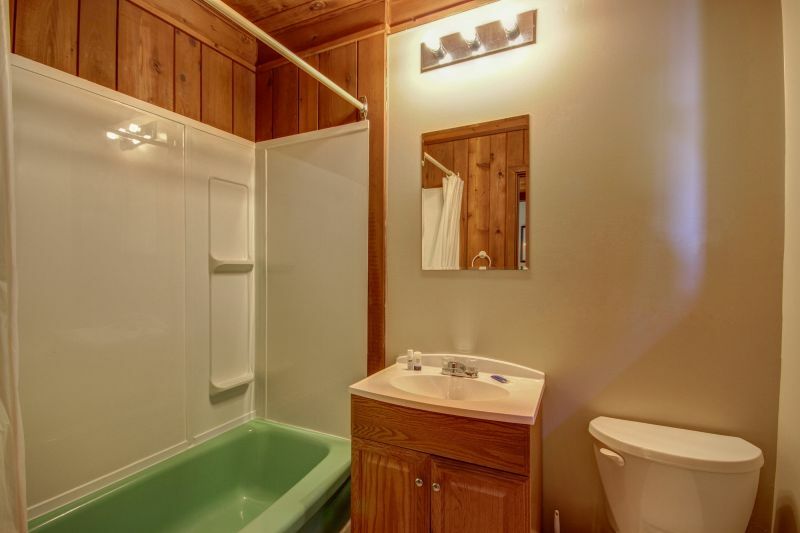 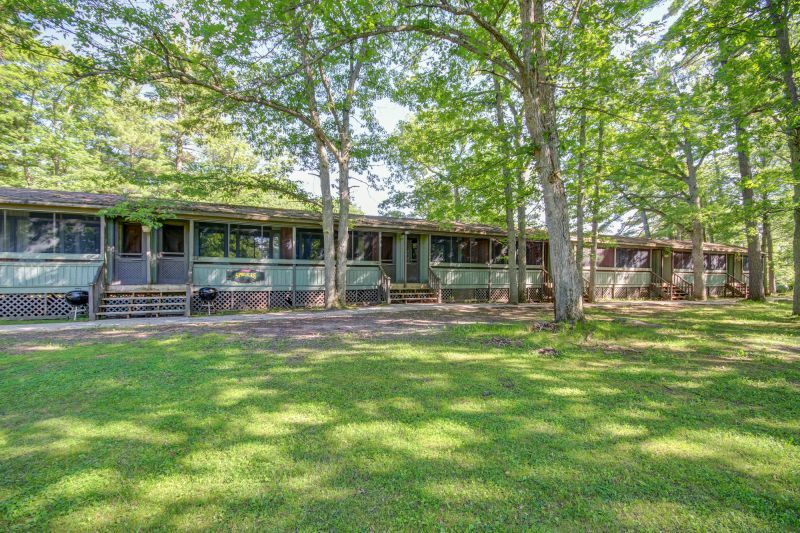 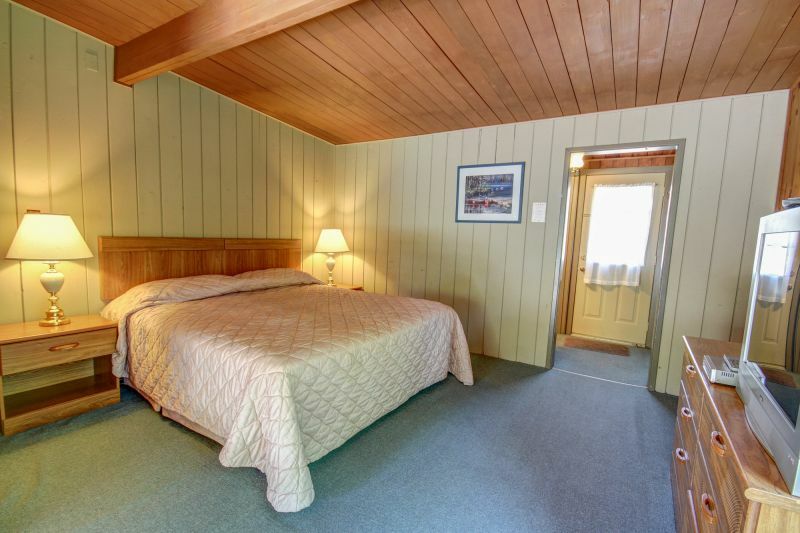 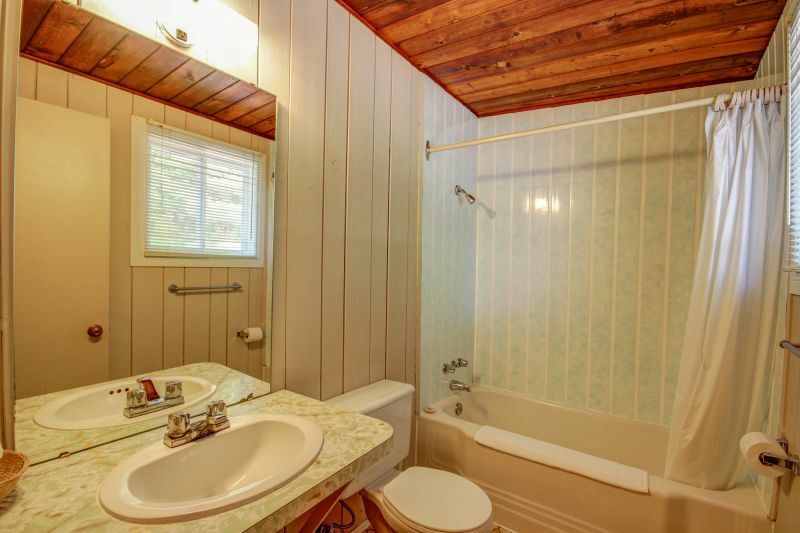 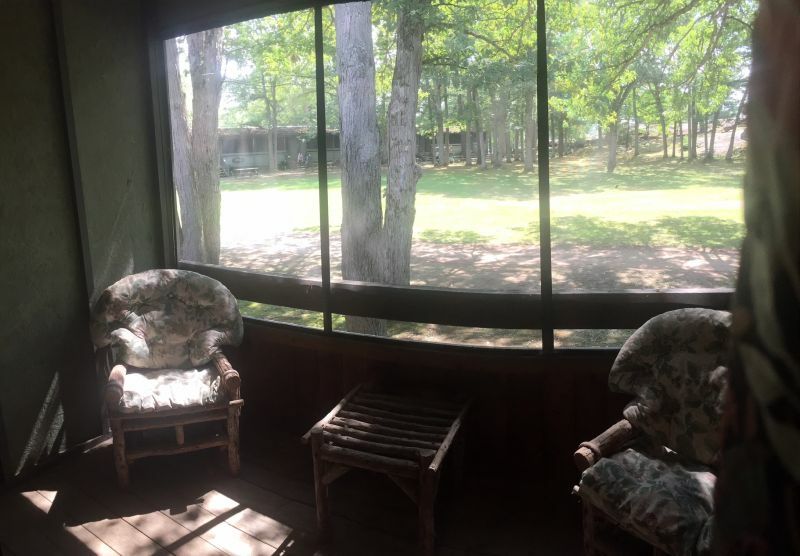 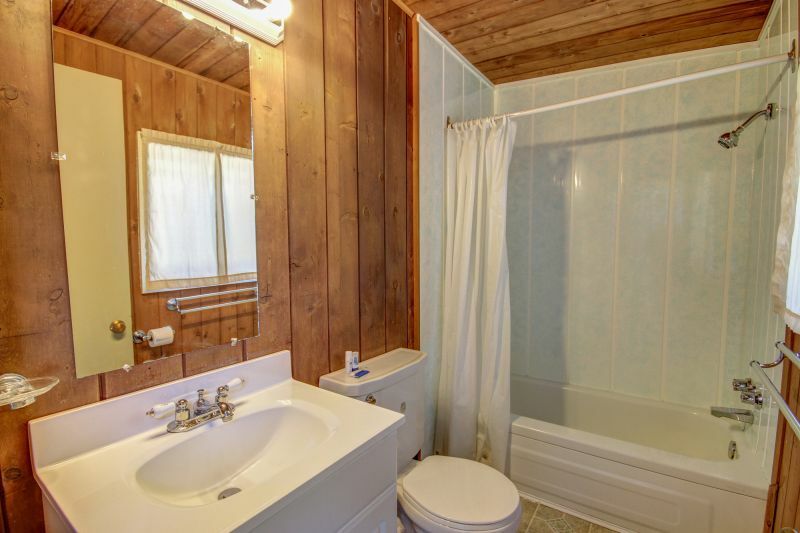 These comfortable rooms are equipped with a cozy gas burning fireplace, a queen bed, a twin bed, a pull out sofa that converts into a double bed, and a private screened in porch. 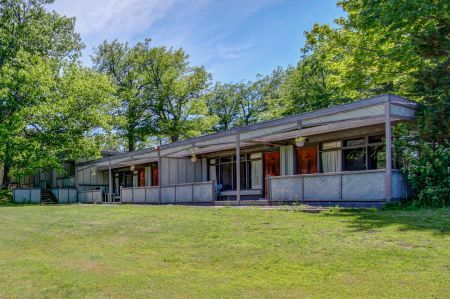 They overlook a nice green park-space. 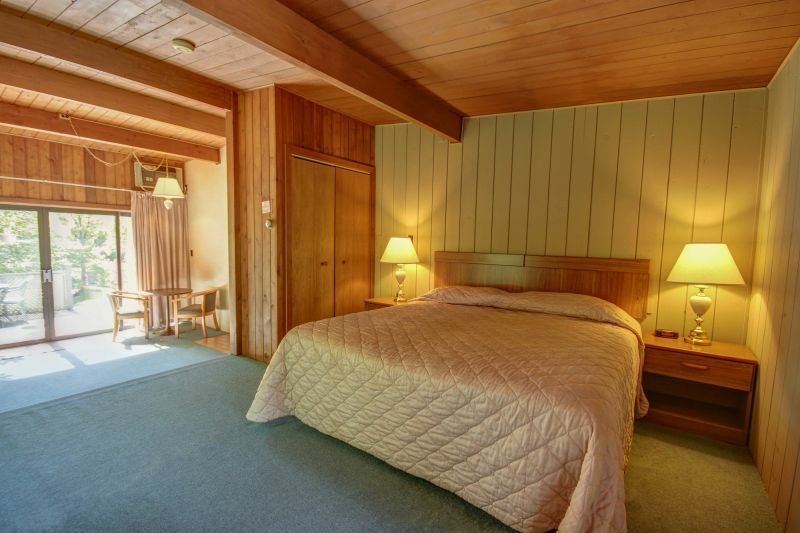 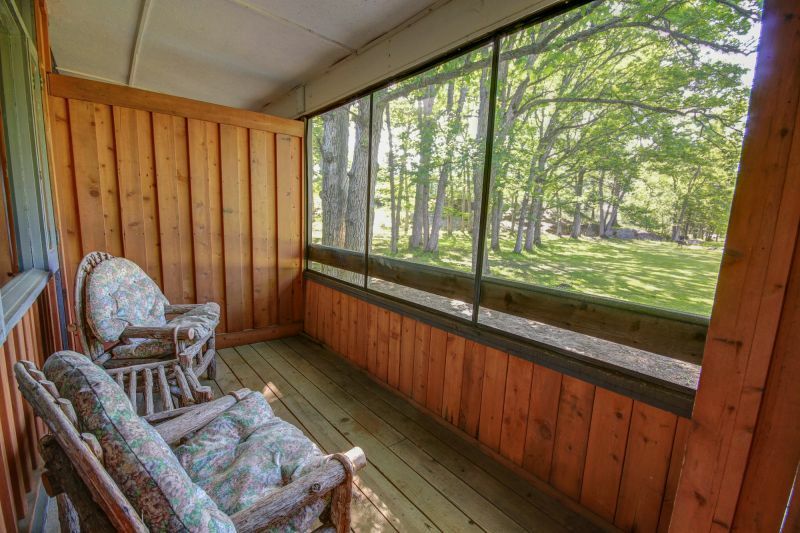 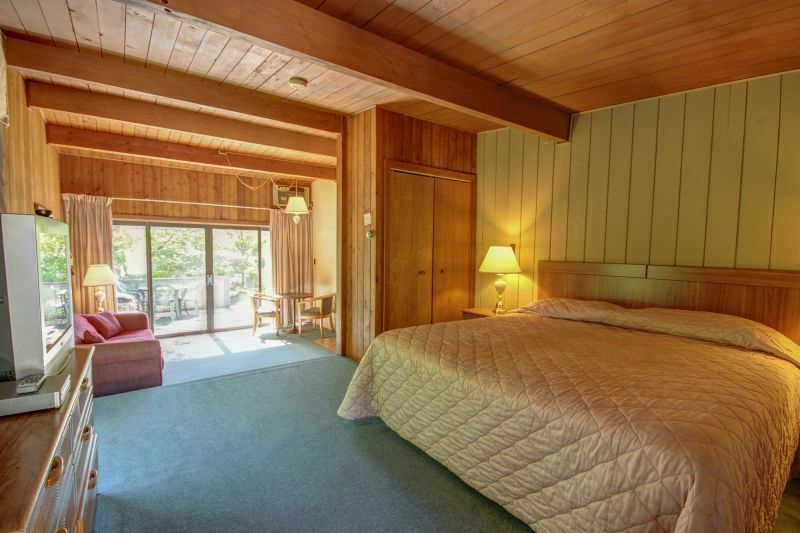 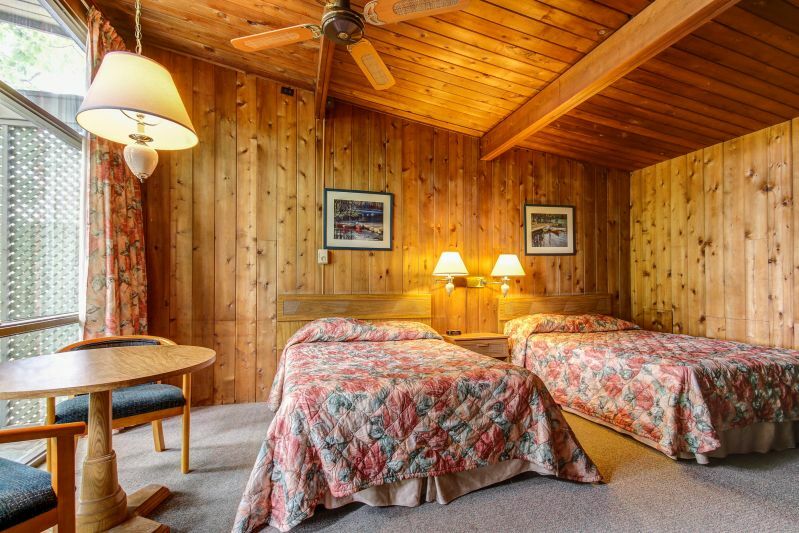 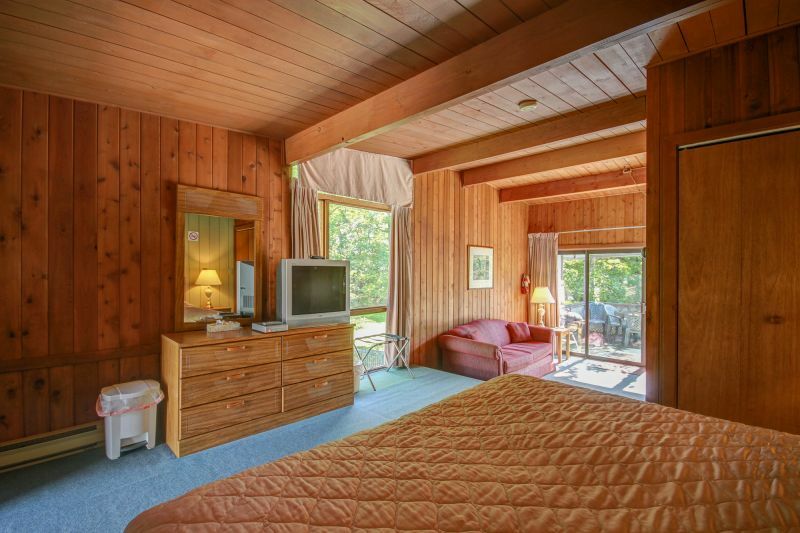 These cozy rooms have a king bed, a pull out sofa that converts into a double bed, and a private screened in porch. 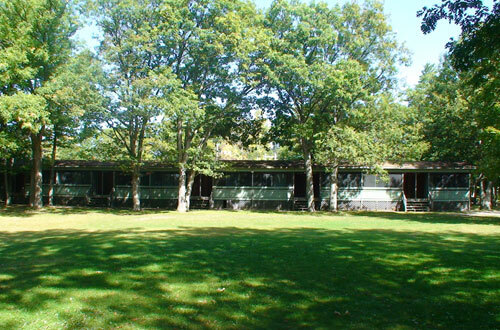 They overlook a nice green park-space. 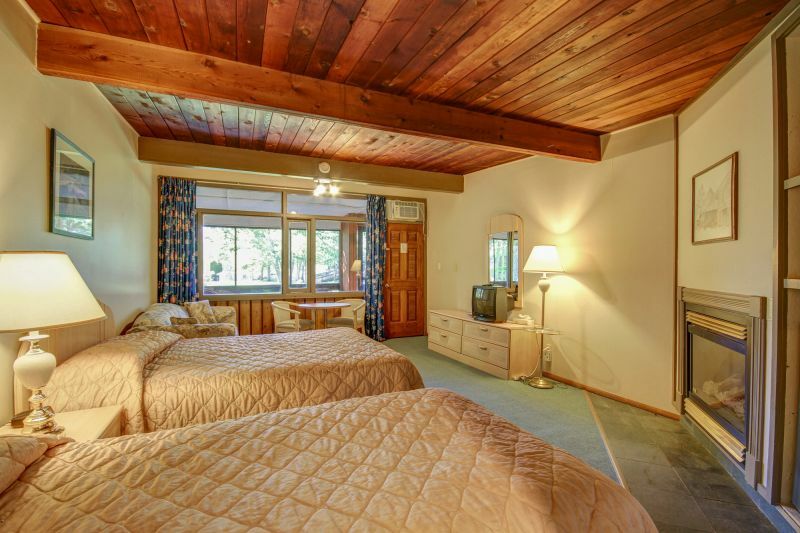 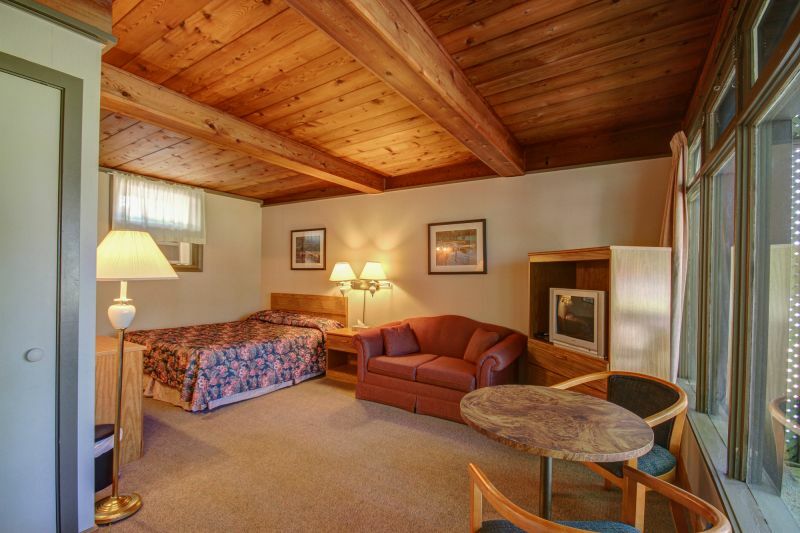 The rooms in the birches are large with a queen bed, a double bed. 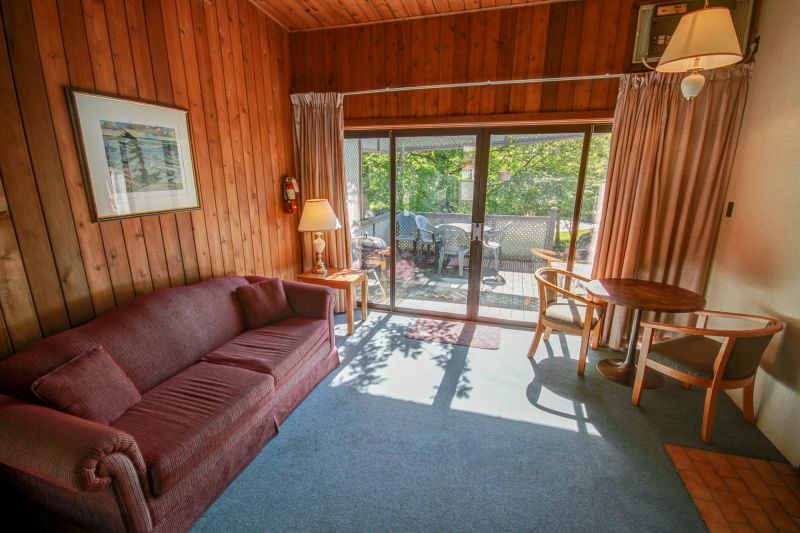 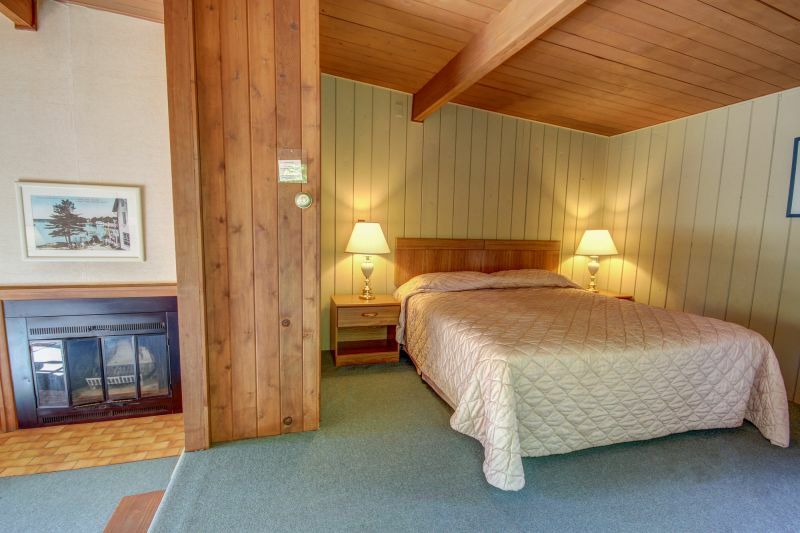 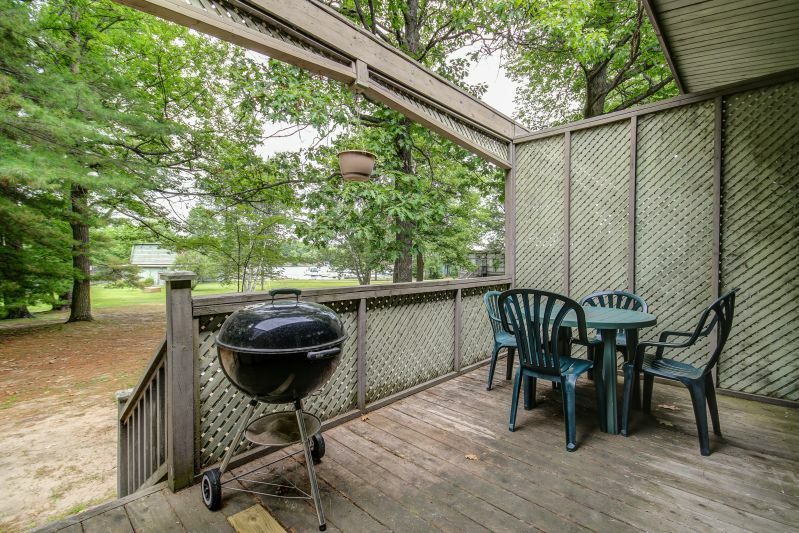 These rooms also have a private deck facing the Tennis Courts. 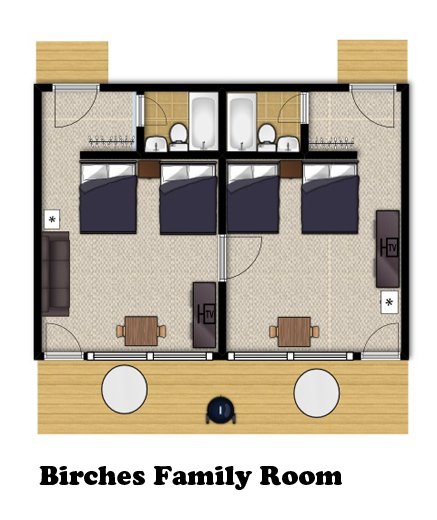 These family rooms are comprised of two Birches rooms with an interior door adjoining both the units. 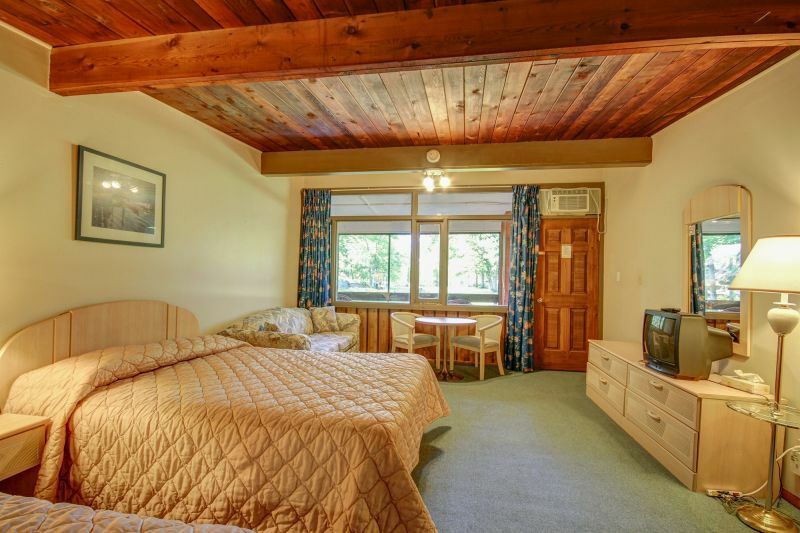 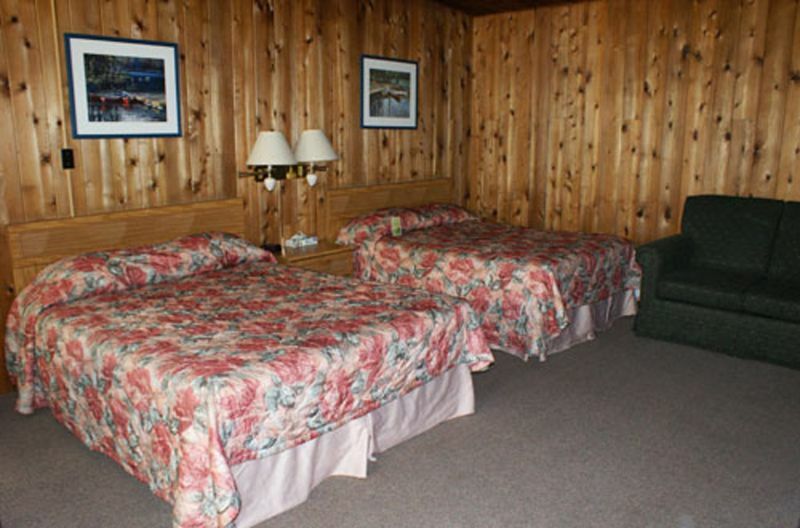 The rooms in the Birches are large with a queen bed, a double bed. 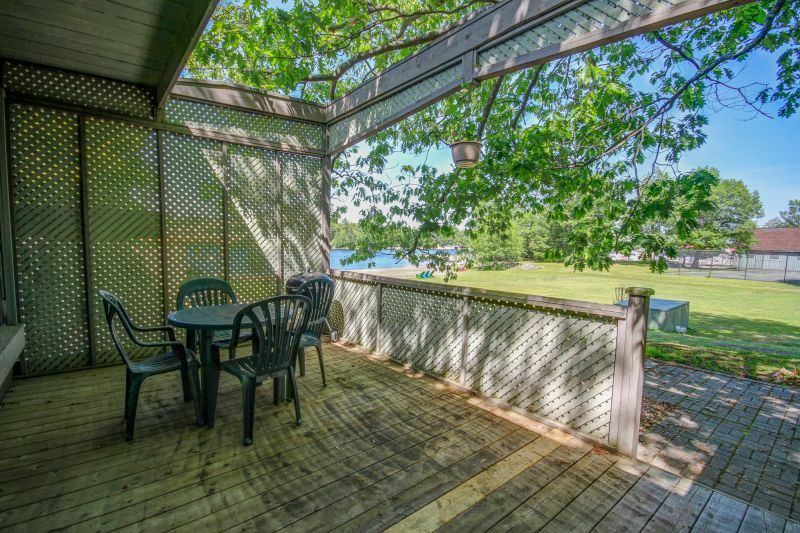 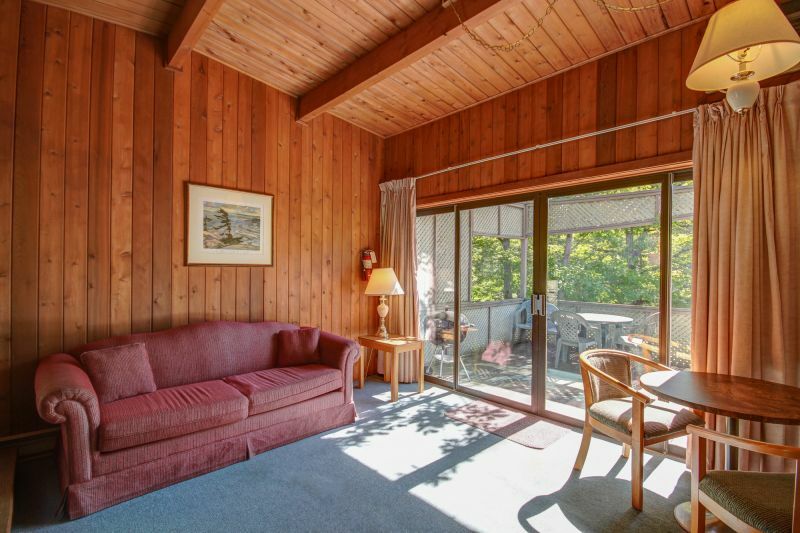 These rooms also have a private deck facing the Tennis Courts. 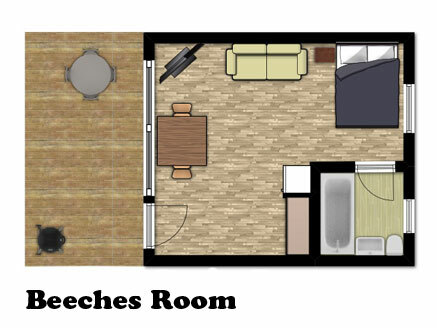 This simple room is recommended to be reserved alongside a Beeches Suite rental when more occupancy is required from a Beeches Suite. 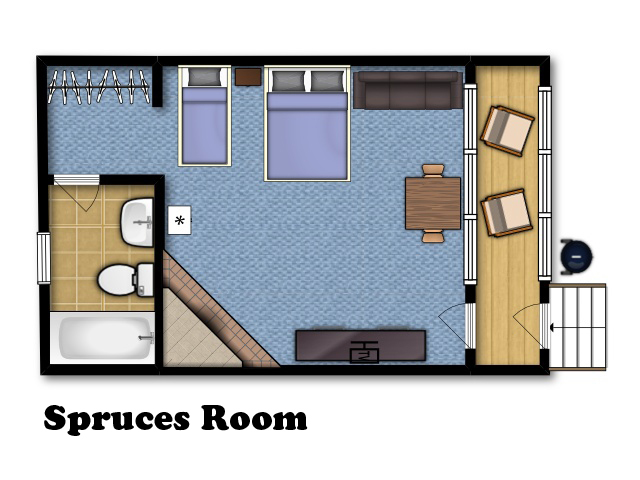 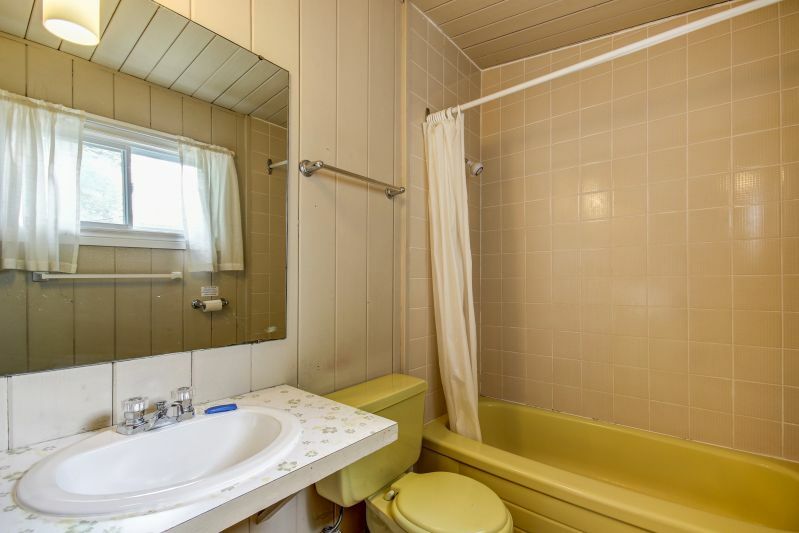 Includes a queen bed and a single pull-out.